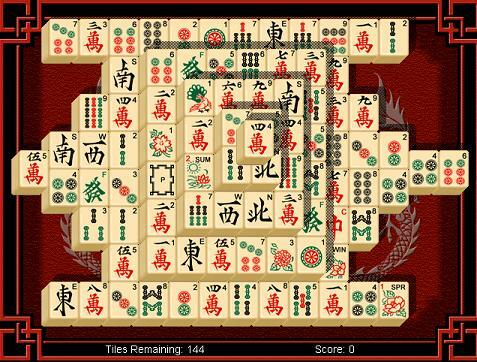 The goal of Mahjong is to match up all the tiles and clear them from the board. You may only select tiles that are on the outermost row and do not have a tile both to the left and right of them. (A hand will appear above tiles you can select and a crosshair will appear above tiles you may not currently select.